Congratulations to North Star Housing Group. At their recent Staff Together event they revealed a truly co-created future picture, their vision for the organisation to 2023. This has been worked on by Staff Discoverers and Visioneers, Senior Management, Board, CEO and Oasis Associate Director Claire Maxwell. The day ended with 91% of staff voting that they were right behind the vision, with the other 9% good to go once a few points had been clarified. 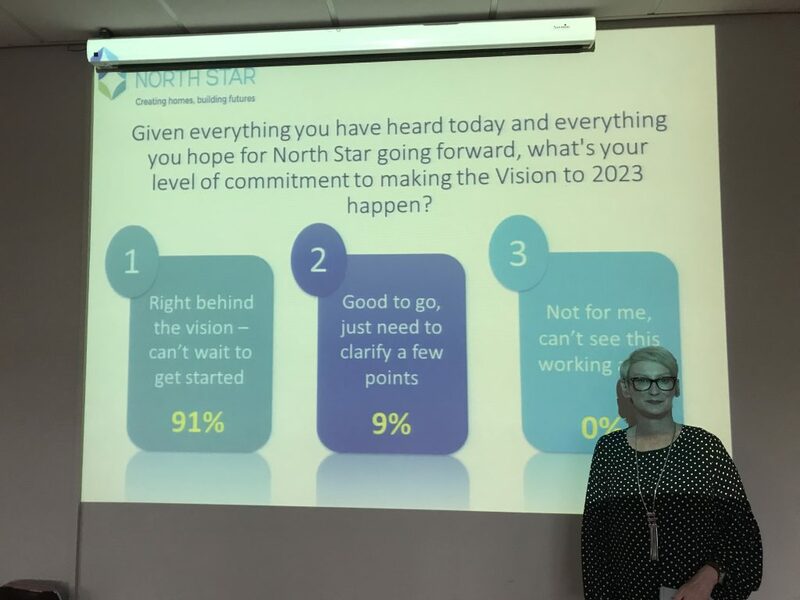 To achieve 100% staff backing is a real testament to the hard work of everyone involved in creating shared leadership in North Star. Well done!